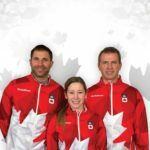 Kristen Streifel has an impressive résumé that includes earning medals on the ice at Canadian and international junior and university curling championships as well as receiving scholarships and awards for her academic success. Now, having graduated from the university of Alberta with a B.Sc. 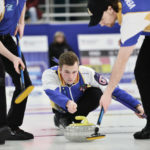 Kinesiology Degree and continued studies in the Peter Lougheed Leadership College, she’s moving on – setting her sights on higher levels of curling competition while pursuing her career goals and finding ways to give back to the community that has supported her throughout her learning and curling journeys. 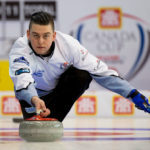 Streifel knows all about the demands on young curlers who are trying to chase their dreams on and off the ice, and she credits her 2015 For the Love of Curling scholarship with helping ease the financial burden of tuition, allowing her to focus solely on curling and her studies. “Receiving a scholarship goes far beyond the dollar value – it helps instill confidence, knowing that people are helping you to pursue excellence,” the recent graduate says. With her studies complete, Streifel is putting her experience to good use, pursuing her career goals as a Canadian Society for Exercise Physiology-Certified Personal Trainer (CSEP-CPT). But this Canadian champion won’t be far from the ice: this season, she’s competing on three different teams. In March, she’ll head off to Krasnoyarsk, Russia, as part of Team Canada at the 2019 Winter Universiade with her 2018 gold-medal-winning University of Alberta Pandas. 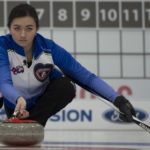 She’s also stepping up into provincial and World Curling Tour events with two different teams in two different curling disciplines: skipping a women’s team out of Regina (with Jolene Campbell, Dayna Demers and Breanne Knapp) and hitting the mixed doubles trail with Steve Laycock of Saskatoon. 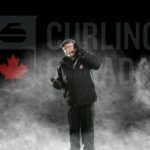 Like all curlers, Streifel is keenly aware of the need to give back to the sport and she’s thrilled to be representing the Curling Canada Foundation in this year’s edition of the Women of Curling Calendar. 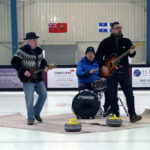 The curling community is well known for its commitment to giving back, but that’s no surprise, considering the culture of our sport, says Streifel, a grateful recipient of that generosity. Join Kristen in her efforts to give back!